Doug Jipson and Merrillee Malwitz-Jipson’s Rum138 Outfitters has become a gathering spot for paddlers and music lovers in southern Columbia County. 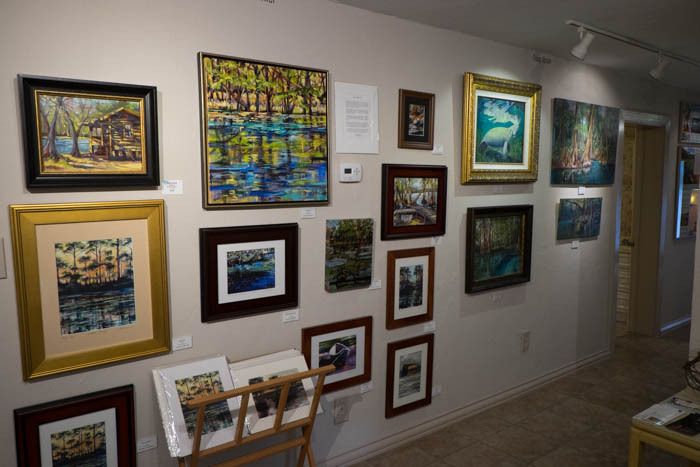 Located on CR138 (off US27, west of High Springs) at the corner of Rum Island Road, the building houses a thriving canoe and kayak rental/livery as well as some spectacular art. Out back, there’s a stage for frequent musical acts and gatherings. 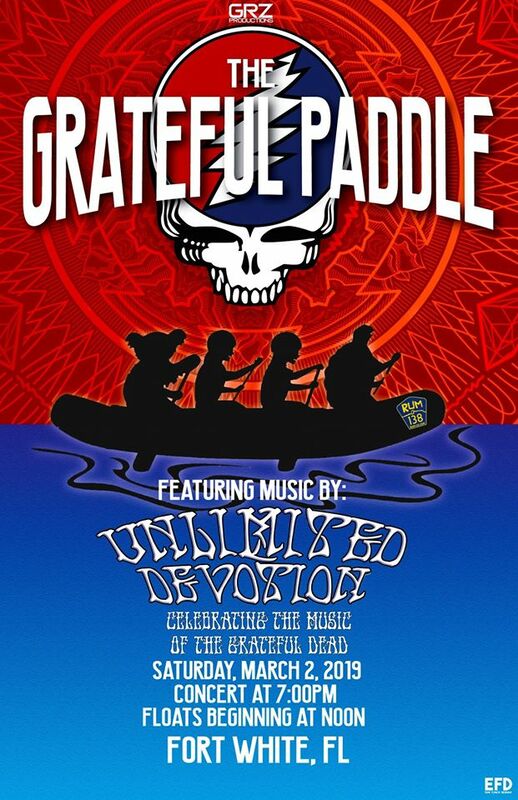 On March 2, 2019, there will be a Grateful Dead Tribute Band (Unlimited Devotion) playing–following a day of fun on the water. $15 concert tickets will get you a $10 discount on rentals of Canoes, Kayaks and inner tubes. River floats begin at 12 noon and the concert begins at 7. 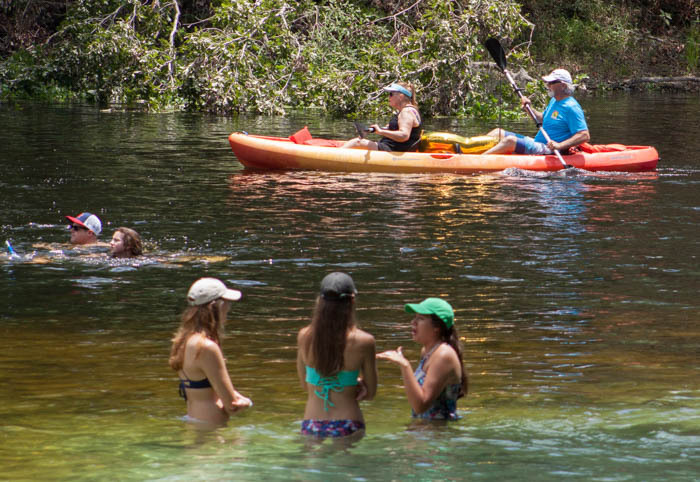 There are so many things to do and enjoy on and around the Santa Fe River including canoeing, boating, kayaking, swimming, snorkeling, diving, paddle boarding, tubing, birding, fishing and hiking. Nearby there are lots of great attractions including Downtown High Springs which is a place where the buildings from the late 1800s are still standing. There are several antique shops great for grabbing a little bit of history. 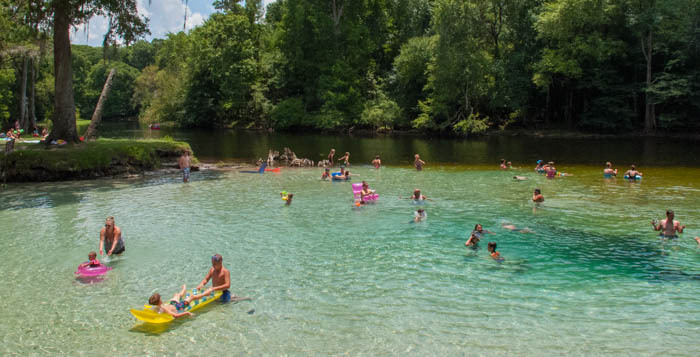 The O’Leno State Park is a great place to visit and you can see where the Sante Fe River disappears underground completely. We’re located within a short country drive of the Ichetucknee River State Park in Fort White. Several great parks line the banks of the Santa Fe River. You can go for a lovely picnic in the woods, or a hike to see some spectacular views. When you visit Rum138’s resource center you will find all the great things you can do in the area, and make sure to ask if you have any questions.